Eye Care of East Bay always appreciates feedback from our valued patients. To date, we’re thrilled to have collected 183 reviews with an average rating of 4.85 out of 5 stars. 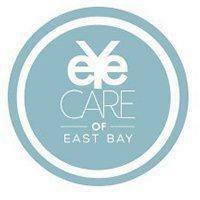 Please read what others are saying about Eye Care of East Bay below, and as always, we would love to collect your feedback. It was really wonderful to have sharp vision again in my left eye! Dr Feiz is Very professional and can be trusted to answer concerns and questions. Quite thorough in his exam. This also applies to the optometrist Dr Lee. Office staff is very pleasant and helpful. Professional & personalized care by, not only the Doctors, but the admin staff as well. One of the best managed-care experiences I have received in a long time. Thank you. I went to see Dr. Feiz because one of my eyes has been warm and watering a lot after an injury to that area of my face. Dr. Feiz thoroughly examined the eye and put my worries to rest. He's the best. Was called in on time and left in less than an hour. Great visit with all my questions answered. My fuzzy vision returned to 20/20 after cataract surgery thanks to Dr. Feiz. The procedure and recovery went just as he said they would. I would confidently refer anyone to this practice. Great visit! Dr. Feiz is very capable and respects your time spent in the office! Best eye doctor in town! I found Doctor Feiz to be very accommodating, wh I came in late for my appointment on a day when he had a surgery scheduled very soon. He still made time to fit me in. His assistants were also squeezed to get my tests completed with very professional and wonderful attitudes. Even though I felt uncomfortable it was through no fault of theirs.Their expertise was displayed by each and every one.I felt confident I was in good hands by everyone.Even though they were also pressed for time. Dr. Feiz is a good sprit with patience, calm and gracious attitude,and I believe this rubs off on his staff. Had a great check up great eye doctor.